The practice rod comes with its own custom tapered Rio fly line, appropriately weighted to the rod for a more accurate experience. 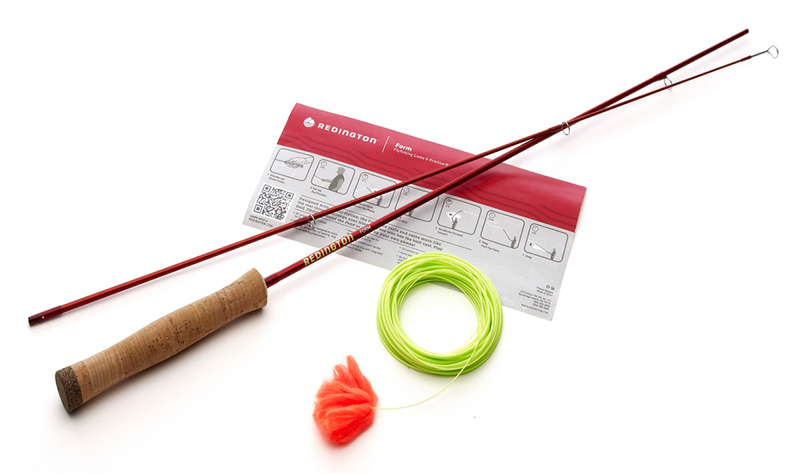 The Redington Form rod offers beginners and veteran fly casters alike a fun way to practice their casting and improve their form. Redington worked with the team at Rio Products to custom design a 30' fly line with integrated leader that matches the action of the Form rod exactly, allowing casters to experience the sensations of rod loading, casting timing and line feel. The Form can be cast indoors, but it's home on the lawn, where you can play casting accuracy games like T.R.O.U.T and Around the Pond. Scott have addressed that old quandary of the fly angler, to go for a fast rod with power and high line speed, or a rod with touch and feel.